Frei Otto (1925-2015 ), an architect-engineer, worked to push the definition of architecture by designing minimal, light, and dynamic spaces through the study of organic forms from nature. 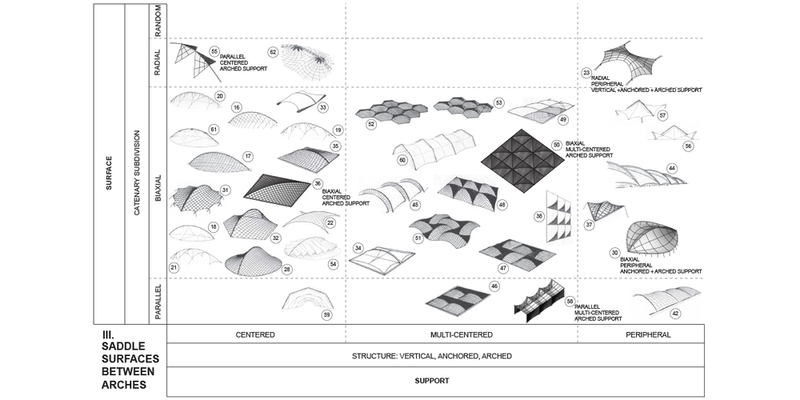 Otto categorized his tensile designs into four “types”: Simple Saddle Surfaces, Undulating Surfaces, Saddle Surfaces between Arches, and Humped Surfaces, within which many possible combinations exist. Otto’s analysis of naturally minimal tension surfaces, such as the soap bubble, yielded, in his words, “a universe of infinite possibilities”. 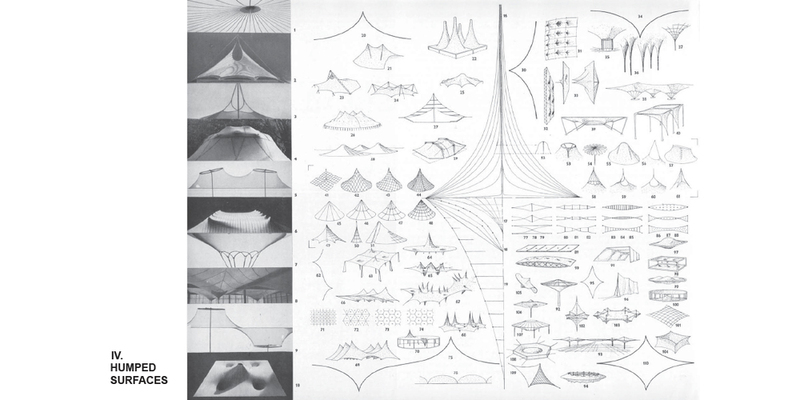 This research project begins by analyzing and modeling Frei Otto’s mid-century drawings. The purpose is to understand the logic of these shapes by cataloging them based on their structural and formal characteristics, while searching for patterns consistent with natural forms. Team: Daniel Lopez-Perez with Angela Vanella (McNair Research Grant, 2014), Department of Art, Architecture and Art History, University of San Diego.